Even though winters are generally mild to warm, with a normal daily average temperature in January of 47 degrees Fahrenheit (8.3 degrees Celsius) Dallas can experience sharp swings in temperature as strong cold fronts known as "Blue Northers" pass through the region, forcing daytime highs below the 50 degree Fahrenheit (10 degrees Celsius) mark for several days at a time. While underfloor heating in a warm climate may not seem necessary, if you recall that unpleasant feeling when stepping out of a warm shower or bath onto a cold tile floor, you might just want to reconsider. When remodeling your bathroom, it’s a perfect time to include the affordable luxury of radiant floor heating so you won’t deal with cold tile underfoot again. Adding infloor heating to a medium master bathroom was an easy way for these Dallas homeowners to warm up the stylish but cold tile in their newly remodeled bathroom, bringing additional warmth and comfort to their daily routine. 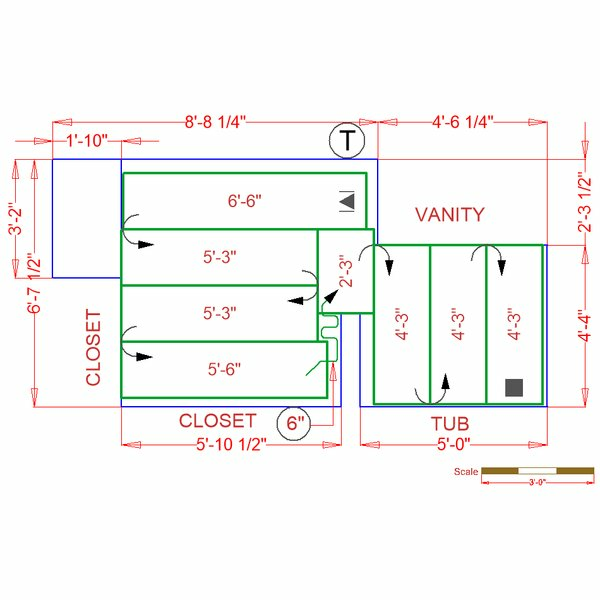 These owners chose to install a 1.5- by 38-foot TempZone™ Flex Roll in their 70-square-foot bathroom for only $598.50 at a cost of $10.50 per square foot (see floor plan). In addition to the reasonable material cost, the operating cost should also be factored into the remodeling budget. 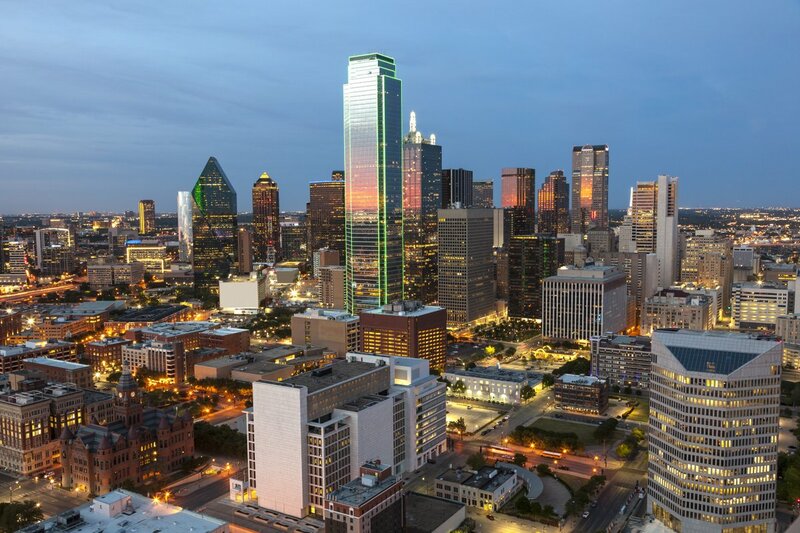 WarmlyYours’ Energy Use Calculator figures in the average kWh cost in Dallas of 11.35 cents resulting in a daily cost of 16 cents to heat this bathroom for four hours a day, a small price to pay for the comfort and luxury of a soothingly warm bathroom. In addition, it only costs $20.40 to heat the bathroom during the coldest month of the year, based on WarmlyYours’s heat loss calculations. 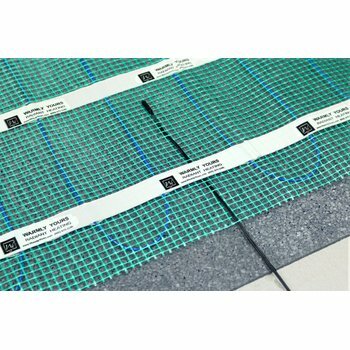 Radiant Heat as a Primary Heat Source? It’s Easy to Find Out. WarmlyYours’s Heat Loss Calculator will ask for a few details about your desired room temperature, how well your room is sealed, and other specifics to determine how much heat is being lost. Then it will calculate whether or not radiant floor heat can be your primary heat source. In this instance, the bathroom is located above a heated room and the ceilings in the room are 9 feet. Based on WarmlyYours’s Heat Loss Calculator, a floor-heating system can be the primary heat source for this room so no additional heating will be necessary; a substantial cost and energy savings. If the room contained significant heat loss sources, WarmlyYours would recommend radiant floor heat as a supplementary heat source instead. Check out WarmlyYours’s Heat Loss Calculator firsthand to see if radiant heat can be your room’s primary heat source. 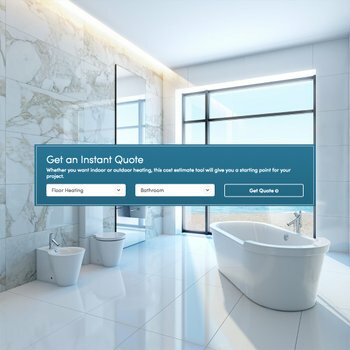 To find out the cost of supplying in-floor heating to your bathroom — or to any room in your home — check out WarmlyYours' Instant Quote Tool online. This tool will show you the exact product(s) you need along with the cost. 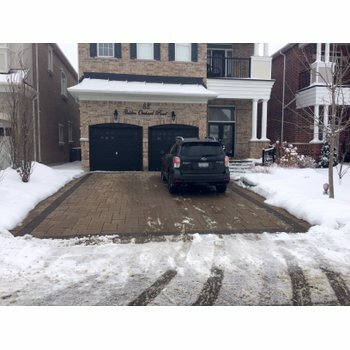 You also have the option to upload your floor plan online to get a more detailed installation plan, which shows exactly how the floor-heating system should be laid out. This plan makes installation easier for you and also gives our technical team more information to help you through your installation if you have questions. We’ve saved the best for last, when you are ready to install the product, WarmlyYours technical support experts can be reached 24/7 to guide you every step of the way, night or day if you need assistance. What Does It Cost To Heat A Large Bathroom In San Francisco?